The Black Belt Club is designed for those students who are interested in more than just taking karate classes. If you or your student wants to set a goal of achieving their Black Belt, this program may be for you. The Black Belt Club provides the most cost effective way to succeed regardless of how long it takes to complete your goal. Unlike traditional plans, the Black Belt Club never expires or runs out. The Black Belt Club costs the same amount if it takes you or your child 4 years or 10 to complete the training. Once the balance is paid in full, you owe nothing additional, regardless of how much time it takes to complete the training. This is a "win win" for the school and you as it is cheaper than paying on an annual agreement! Flexibility! You or your student can take as much time as they need, can take a break, can go off to school and come back, or whatever your schedule demands. The training is always here for you and there are no additional fees, regardless of the time taken. Students in the Black Belt Club enjoy lower overall tuition, discounts in the pro shop, and special instruction from our instructors. Special patches for the uniform help signify students whom have made the extra commitment. All students obtaining a black belt are held to a high standard and are expected to live by the Black Belt Club Pledge. This pledge embodies the spirit of martial arts and outlines the expectations placed on a student of martial arts. Want more? 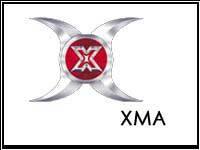 Check out our Masters Club, which adds in the ability to attend XMA and/or MMA programs as part of your training. the support and encouragement of my fellow students and instructors.